We at LTH Forum come here because we love food. We love to eat, we love to cook, we love to discuss food – and we believe that by sharing our experiences and knowledge, we will all eat better. Those of us who have been here a long time have seen ample evidence of the truth of this. We also come here because we like to meet for meals. 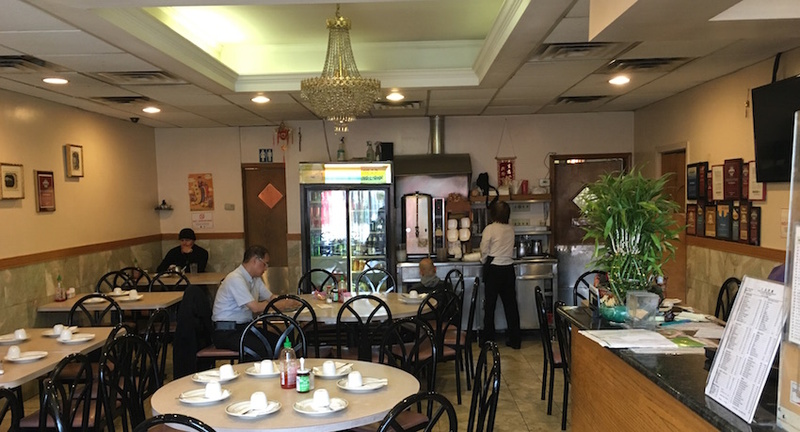 Most of us prefer the perfect little hole-in-the-wall shack that serves specific cuisine, prepared and explained by the owner and cook, often while his/her kids are doing their homework at the table in back. That does not mean we do not enjoy fine dining – we certainly do. But our first love is finding delicious experiences that take us to new places, even if we physically remain in Chicago. We eat our way through Chicagoland’s vibrant, ever-changing neighborhoods in search of new food, from a diverse array of countries and cultures. We gain a greater appreciation of our food by understanding how it is grown, how it is made, what went into it, and where it came from. To that end, we really like places where the people producing the food will engage with us and share their knowledge, experience and wisdom. And whether you’re an explorer who’s always first to try a new spot, never noticed before or the person who prefers to visit a place after it’s been well-vetted, we welcome you and we encourage you to join our discussion. Our focus is, first and foremost, what’s on the plate. And if there’s a dish you wish to investigate, there are probably folks here who know all about it – where it came from, how it’s changed over time, and how it relates to other dishes and traditions. You might even find that a discussion about it is already happening. We’re not a place where people come to glamorize what they eat, attack others about their tastes or thoughts, complain about service (much) or make grabs at attention. But we are interested, and we are thorough. If you post in our forums and share your experiences and opinions, at some point you’ll probably be asked to explain what you ate and why you feel the way you do about it. We like this kind of context because it helps us to understand where you’re coming from and what your contributions to our community will be. More than anything else, it’s this dynamic that differentiates us from other, more anonymous sites – and makes the LTH Forum the enduring community that it is. LTH Forum was founded in 2004 by a bunch of Chicago refugees from another food discussion site, Chowhound. We took issue with some of Chowhound’s more restrictive policies and decided to strike out on our own. From the beginning, our space was intended to be inclusive and open, despite our members’ strong – and often disparate – opinions about food. 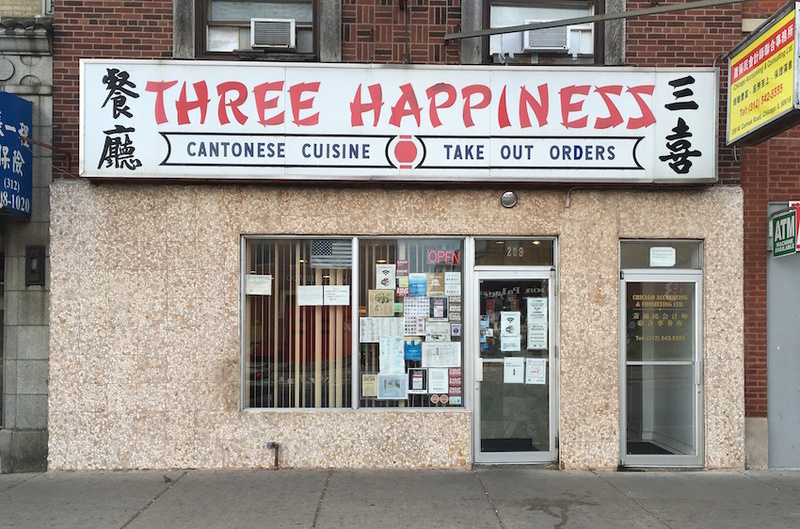 One night in 2004, about 14 people met for dinner at Little Three Happiness, the storefront eatery in Chicago’s Chinatown that also gave us our name. The result of that meeting was the formation of LTH Forum. We all agreed to move our posts here and these 14 people became the new site’s moderators. None of us knew what to expect going forward, but we knew we would continue to share our thoughts and naturally, break bread together. Later, in 2006, the Great Neighborhood Restaurant Program was started to create a crowd-sourced guide to what we think are some of the best places to eat in and around Chicago. It is a unique, idiosyncratic, delicious and wildly eclectic mix of places. While the food world – and the entire world – has changed a lot around us, LTH Forum has remained an active and thriving community, evolving along with it. We’ve explored slow food, local food, regionally specific food, fine-dining, farmers markets and much more as the city’s culinary offerings have exploded. Today, Chicago-based food explorers have more choices, quality offerings, and information than ever before, and LTH Forum reflects that, too. We even discuss eating healthy at times, though most of us share the belief that healthy food can and should still be delicious. Naturally, over time, the group running the site has changed. It has always been a labor of love, run by a central core of volunteers and often funded by them as well. At this point, most of the founders have left their day-to-day roles at LTH Forum, but still participate in the conversation. Other members have left Chicago, but remained attached to, and active parts of, our community. In 2011, the site was acquired by three long-time members – Steve Zaransky, David Dickson and Ron Kaplan. Their intent was simple – respect the culture of the community, update its look and feel to make it more attractive and welcoming, and put the site on a firm financial footing by selectively attracting simpatico sponsors and advertisers to underwrite it. With the release of an updated website in July, 2013, the community got closer to achieving those goals. In January of 2015, Mr. Zaransky and Mr. Dickson stepped away from their ownership roles (though, both are still quite active in the community) and Matt Miller joined Ron Kaplan as an owner of the site. Throughout 2015 and through today, the goal has remained largely the same: respect the culture of the community, keep the technology that powers the site as current as possible and make the site economically self-sustaining. Although we could not have foreseen the path LTH Forum would take when we started it over a decade ago, one thing hasn’t changed: we are still explorers, on a mission to discover food and promote it to the world. And whatever success and influence this site has achieved comes from our simple formula: Shop, cook, and eat well; then, please come and tell us all about it!